If you love the few additional internet features that a WiFi multicooker gives you, then you should invest in the Instant Pot Smart WiFi. But if you don’t care about these internet features, then save your money by purchasing the cheaper Instant Pot IP-DUO60 multicooker. This brand is very popular right now. A new Instant Pot Smart WiFi will cost $150, which is well worth the money. The technology in this model is something superior. Even though it was designed with the classic 1,000 watts and 6 quarts of space, the new WiFi technology integration is something to rave about. 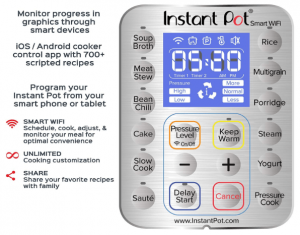 This lets you use the Instant Pot app to control some of its features on your mobile device. You may be paying more, but you’re also getting a more intelligent multicooker. If you’re someone who doesn’t monitor their multi-cooker while it’s cooking, then you will definitely love the WiFi feature of this multicooker. It will keep you informed of the cooking status without you needing to be there in the room. But if you prefer to stay in the room the whole time, then you will benefit more from a cheaper model. If you’ve used other Instant Pot models in the past, then you will love how most of the same functions and modes are included with the Instant Pot Smart WiFi. There are buttons for cooking cake, yogurt, rice, meat, chili, and beans. In addition, you can do slow cooking steaming, pressure cooking, and sautéing. Unfortunately, there is no sterilization button or egg maker button. Aside from that, the Instant Pot Smart WiFi has a lot in common with the Instant Pot Duo Plus series. Some of the accessories that come with the Smart WiFi multicooker include a measuring cup, soup spoon, and rice paddle. WiFi is the big highlight of this new model. Your Instant Pot Smart WiFi cooker can connect to your home’s entire wireless network. 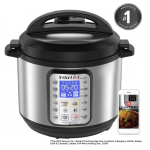 Download and install the Instant Pot app onto your mobile device to link it to the cooker. Here’s what it can do. The tab labeled “Instant Start” can be used to activate a program, activate the cooker and customize the settings for things like time and pressure level. 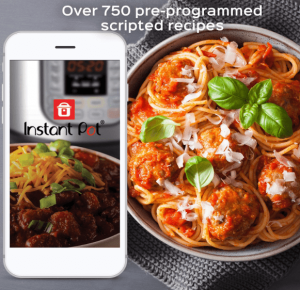 If you want to remotely turn off the cooking, check the status of the food, or have notifications sent to your mobile device to tell you the cooking is finished, then you will love the Instant Pot app. There is a recipes section in the app which provides lots of different ideas for dishes that you can cook. These dishes include Indian curries and cheesecake. You will enjoy looking over the different categories of the app. There are a couple of issues with the app. First, Instant Pot claims their app gives you the ability to monitor the temperature of the pot. They have a small thermometer icon which has a few random markers. This doesn’t give you a true reading of the temperature, though. The cooker mode is visible no matter if you’re keeping something warm, preheating, or cooking. After you’ve started a program on the cooker, all you can do is cancel it. There is no way to alter the time while it is cooking. To activate the WiFi feature of the Instant Pot Smart cooker, make sure you have downloaded and installed the Instant Pot App onto your mobile device first. It is available for Android and iOS devices. This means you would either go to the Google Play Store or the Apple Store to download it. If you prefer to control the Instant Pot Smart WiFi manually, it has buttons that you can press with your fingers like normal. 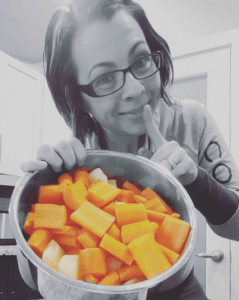 Over 750 recipes are preprogrammed into the app. Just search for the dish that you want to cook. For instance, if you’re in the mood for eating “beef burritos,” search that term. Once you find the recipe, open it, and you should see an ingredients basket icon. Click on that to go to the ingredients section. Now choose your ingredients and include them in your list of groceries. Choose the Utensils icon when you want to begin cooking. Read and follow the instructions completely. When the Cook Now button is visible, press it to see a new menu which has your Smart WiFi listed in it. There is also a Delay Start option in there too. When you’re ready for the Smart Wi-Fi to preheat the cooker, use the Start Button to begin. The pressure and time that are programmed for the recipe will be implemented into the cooking. As the food cooks, the app can tell you how long it will take before the cooking is done. If you’re keeping it warm, it can tell you the length of time for that too. Most recipes demand a natural release for 10 minutes and then a quick release after that. If you know how long Keep Warm has been on, then you can determine when to release the pressure. An increasing number of kitchen appliances now have WiFi technology built into them. Does it really matter, though? Not really. WiFi doesn’t do much for kitchen appliances or the Instant Pot Smart WiFi. Sure, it allows you to receive cooking notifications and monitor the cooking time through its mobile app. But are these extras really that big a deal? Of course, the WiFi does come in handy if you forget to start the Instant Pot because you can remotely turn the cooking on with the app. But will you remember that you forgot once you leave the cooker? If you do remember, it needs to be soon or else the ingredients in the pot might not be edible anymore. Mobile notifications are the best feature of the app. No matter where you are in the house, that pinging sound coming from your mobile device will indicate that your Instant Pot Smart WiFi is done cooking the food. This is great for anyone who likes to do other things while their food is cooking. You won’t lose track of time either because the ping will wake you up and prompt you to go back to the kitchen immediately. It will certainly give peace of mind to be able to see the cooking status when you’re away from the cooker. The WiFi feature of the Instant Pot device doesn’t do anything else. There is no voice assistant technology, and it cannot be integrated with other smart products. As for the Instant Pot app, it cannot be used to alter the cooking mode after the cooking has already started. You can’t even read the temperature in numbers on the pot either. If you like smarter technology and don’t mind paying for it, then go with the Instant Pot Smart WiFi. You’ll have convenient notifications, and cooking status information delivered right to your mobile device no matter where you are in the house. On the other hand, you might not be too thrilled about paying $145.95 just for these few extras. Just because you can start and stop the cooking remotely, it might not be worth all the extra money that you need to spend on this model. 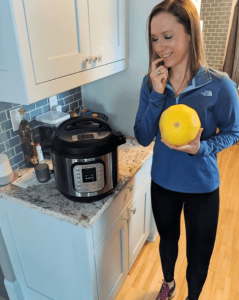 You can spend less money on the Instant Pot Duo Plus and still be able to cook a good meal without those other features. This is my 2nd Instant Pot investment. 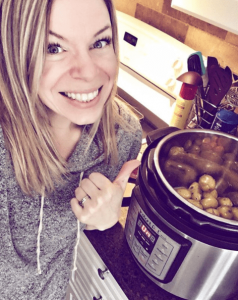 I bought the Instant Pot DUO60 two years ago and I use it every day! Attempted at least 8 times to connect the Smart Instant Pot Wifi to my device on Android phone (Samsung Note ) and it crashed every time. Selected to try an iPad and it connected fast and easy. Not sure if it has anything to do with Android. So if you don’t have an Apple device you might want to skip on the WIFI. Initially, the first thing I did with my instant pot was to make hard-boiled eggs. They came out exceptional good. Next, I attempted to make Lentil Soup. I have never had lentil soup before in my life but it is really delightful and healthy. Very cool kitchen machine. If you are holding on deciding to buy, don’t hesitate I really enjoy it just small hiccup with my Android device. The main reason I purchase this is to connect with my iPhone using wifi. The WiFi model is a waste of time. I couldn’t get it to connect. It kept stating I had the wrong password. Instant Pots are good cookers but don’t get the WiFi model. It is a waste of money for tiny advantage. So I got an instant pot duo60 works excellent no complaints sometimes it is better to go with simple devices with limited technology. This is my new preferred cooker. After an unfavorable experience with a Wolfgang Puck pressure oven, I would try Instant Pot instead. Before exploring for recipes, I was not conscious that there was a full cult following thing about Instant Pots, which is probably good I guess. I do find this thing very helpful, nevertheless. It is EASY to clean up at the end of the day. I do like owning the control via Bluetooth, too.